The island of Kaho’olawe is the smallest of Hawaii’s eight islands. Located eleven miles southwest of Maui, the island’s total land area is a mere 44.6 square miles. 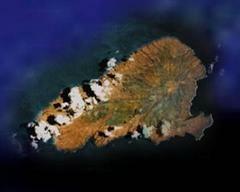 In contrast to Kaho’olawe’s size, the importance of the island to Hawaiians is immeasurable. Over the years Kaho’olawe has become a symbol of the Hawaiian culture as a whole. Just as the United States destroyed Hawaiian culture, the navy destroyed the island by bombing it. As a result “for native Hawaiians especially, restoration also represented cultural renewal” (Blackford, 544). It is hard to believe that the United States government did not have any respect for the Hawaiian’s sacred island and went so far as to bomb it, destroying religious sites and ultimately making it uninhabitable. Did the United States have any validity in their actions? Or did the government exhibit a blatant disregard for Hawaiian culture and religion? These questions can be answered by looking at arguments for and against using the island for target practice and analyzing events that took place in Kaho’olawe’s history. Looking back to the discovery of Kaho’olawe and how it was used in ancient times serves as evidence towards the sacredness of the land; thus pointing towards the United State’s blatant disregard for Hawaiian culture and religion. The first, and perhaps most important, aspect of the Island’s history is that its original name was Kohemalamalama O Kanalo; in short, Kanaloa. Kanaloa, in Hawaiian, means firm, immovable and unconquerable. Kanaloa is also the “god of the sea, […] patron of voyaging, and […] a source of life-giving springs” (Reeve, 204). According to mo’olelo (story), Kanaloa was the first to arrive from Kahiki and the island was named Kanaloa in remembrance of that event. Not only this, ancient Hawaiians consider Kaho’olawe to be a wahi puna (sacred place) “born of the union of Papa (sky father) and Wakea (earth mother). Hawaiians also thought of Kaho’olawe as a pu’uhonua (place of refuge)” (Blackford, 549). Because of Kaho’olawe’s connection with Kanaloa, Kahuna and navigators would go to the island to train for journeys across the pacific. As a result of the constant use of the island, “544 archaeological sites, containing 2,377 features including camp sites or living areas, shrines or sacred places of worship, quarries, and petroglyph clusters (ancient rock carvings/drawings), some of which are believed to date back as far as 100 A.D” can be found on the island (Lewis, 2). The “shrines” or “sacred places of worship”, also known as heiau are considered to be the most spiritual places in Hawaiian culture. 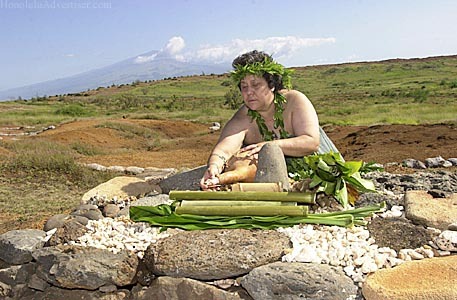 The kahuna kuhikuhi pu‘uone, master architect of a heiau, chose the site on which it was built based upon the “mana, or spiritual power it possessed” (Hawaiian Encyclopedia). The heiau serves as an access point to the gods and this access point is only present in certain places, which possess sacred power. This directly coincides with Lane’s theory that place itself is holy as opposed to people making a place holy. Despite the Hawaiians clear argument that the island possesses deep spiritual power, the United States made the decision to designate Kaho’olawe as the only suitable place for target practice. In defense of the United States, when Eisenhower issued an executive order in 1953, which gave jurisdiction of Kaho’olawe to the navy, he also made provisions for environmental restoration. Understanding the importance of Kaho’olawe to Hawaiians, Eisenhower stated that “Hawaiian territorial officials were to be allowed at reasonable intervals to enter and inspect the island to ascertain the extent of forest cover, erosion, and animal life thereon, and to sow or plant suitable grasses and plants under a program of soil conservation’” (Blackford, 550). Not only this, the United States only made its decision to use Kaho’olawe for target practice “after surveying other possible sites in the Pacific and debating the possibility of constructing an artificial island. Navy officers concluded that no other option fit their needs. Cost considerations, ownership issues, distances from military bases, and the inability to use other sites year-round ruled out other possibilities. Only Kaho’olawe would do” (Blackford, 554). The United States settled on Kaho’olawe for target practice but promised that when the use of Kahoolawe was no longer needed, it would be returned to the Hawaiians in a condition “reasonably safe for human habitation, without cost to Hawaiians” (Blackford, 550). Although the United States continued on its course of action with good intensions, no one could foresee the immense amount of damage that would be done to Kaho’olawe and the Hawaiian culture. Over the course of fifty years, the navy bombed Kaho’olawe profusely thus destroying the land and sites which were held sacred to Hawaiians. 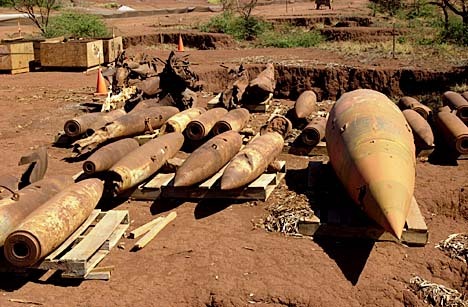 Twenty-five hundred tons of bombs were dropped on Kahoolawe making it the most bombed island in the pacific. In 1965, the “navy simulated small atomic bomb explosions to explore the effects of blasts on ships anchored near Kaho’olawe” (Blackford, 551). 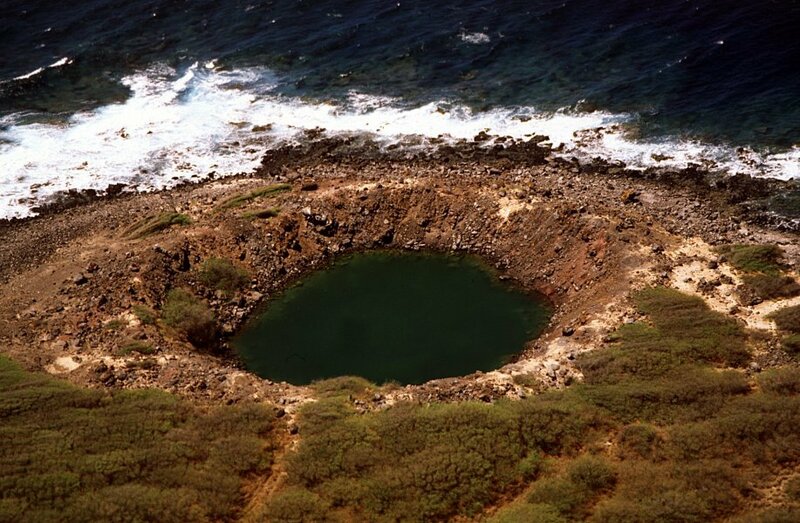 Not only this, one detonation of “five hundred tons of TNT left a large ocean-filled crater on the island that remains today” (Blackford, 551). Walter Ritte Jr, head of Hui Aloha declares “the Hawaiian people recognize Kaho’olawe as a place where their culture is being desecrated as bombs blow up their sacred heiau, or places of worship, destroy many koas or fishing shrines along the shore, wipe out the historical village site of old, kill the reef surrounding the island which was teeming with food and especially killing the entire Hawaiian island” (Blackford, 557). 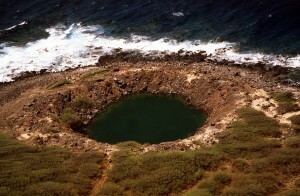 The United States Navy not only destroyed sacred sites and the physical features of the island itself but also destroyed coral reefs around the island as a result of the lack of vegetation and severely eroded state of the land. What makes the damage even more devastating is that as a result of the unexploded bombs, “traveling on the island and fishing in nearby waters [is] unsafe” (Blackford, 544). Thus endangering people who want to come in and restore the island. Even though the United States promised the island would be returned in a condition “reasonably safe for human habitation” it would cost $131 million dollars to clean up the island and much of the explosives left on the Island cannot be found. Ultimately, the damage the United States imposed on Kaho’olawe is irreversible. Despite the notion that Kaho’olawe will never be restored to its former glory, Hawaiians still voyage to the island to “surf the waters and travel to this sacred island for spiritual purposes. Others come to help with the various restoration projects” (Lewis, 2). The reason Hawaiians have not given up on Kaho’olawe is because, as Emmett Alulu an important Hawaiian leader observed, “the work to heal the island will heal the soul of our people. Each time we pick up a stone to restore a cultural site on the island, we pick up ourselves, as Hawaiians” (Blackford, 545). Restoring Kaho’olawe is a way for Hawaiians to fight back against the oppression they have endured. The bombing of Kaho’olawe is more than just an attack on sacred land. Kahoolawe has come to represent the Hawaiian culture and people. George Helm, a leader in the Hawaiian community claims, “each bomb dropped adds further injury to an already wounded soul” (Blackford, 544). Just as the island of Kaho’olawe is beyond repair to its former glory, the Hawaiian culture and community will never be what it once was. The United States unjustly forced Hawaiians to abandon their culture and religion. Similarly, the United States unjustly bombed Kaho’olawe. Although their intensions may have been good, Americans were unable to comprehend the importance of Kaho’olawe to Hawaiians and subsequently displayed a blatant disregard for Hawaiian culture and religion. No. 2 (Sep., 2004): pp.544-571. Environment, Spring 2001. Web. 2 Nov, 2012. I like the idea of leaving Hawaii land to Hawaiians but if that is the case then you would have to give up federal funding and federal jobs. Cant have it both ways. The American Indian Tribes Council also fought for land rights over 100 years now but to no avail. The argument in the courts was that over 1/2 of the tribes have federal jobs and federal subsidies and are not willing to give up tge finances to work their land like farmers. So they never changed the status quo. The Hawaiians have formed separate groups all claiming Hawaiian Native status but nobody left with 100% Hawaiian bloodline. So where the Hawaiians already integrated into mainstream society. Game over. Cant complain about the food after you grind the whole plate. The government will never change their position. Rather they would use Marshall Law to regain control of Hawaii like they did to our American Indian tribes on the mainland.